Grassy paddocks and roomy, well-ventilated stalls create a welcoming environment for our boarding clients! When you come to our facility, you will always be met with a friendly greeting and a genuine, welcoming smile. 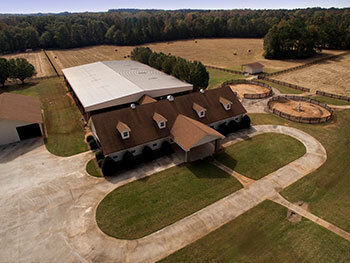 The focus of the Dabney Gentle Horsemanship Training Facility is to give horse owners, the peace of mind to know that your horse is well-cared for and treated respectfully, through proper handling and daily attention to your horse's needs. You are welcome to invite the professionals of your choice to visit our facility to provide care for your horse, or we will recommend or make arrangements for horse care, at your request, through our trusted professionals: vets, farrier, equine chiropractor, equine dentist and massage therapist. Our 17 station Obstacle Course is available for your use and will provide the opportunity for you to spend many hours challenging and developing your horse’s skills and confidence. These obstacles will help your horse to become braver, more agile and more trusting of you, as his leader. The time you spend with your horse on these obstacles will be beneficial to you also, as it will improve your overall relationship with your horse and your confidence as his leader. 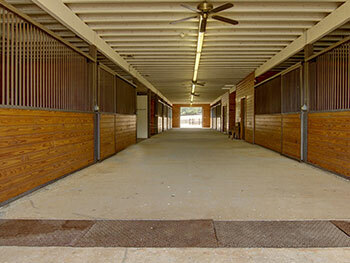 Paddocks and stalls are well-maintained and cleaned daily by our conscientious staff. We provide high-quality hay, fresh shavings, clean water and salt-blocks for each horse in our care. We will feed grain and supplements that are supplied by our clients for their horses. If you have a special type of hay that you prefer for your horse, you may provide it and we will be certain that he receives it. Horse training and exercise riding are available and may be easily scheduled on an occasional or consistent basis. Our time is flexible, and we make ourselves available so that you may conveniently arrange beginner to advanced horsemanship riding lessons presented with clear, excellent instruction. 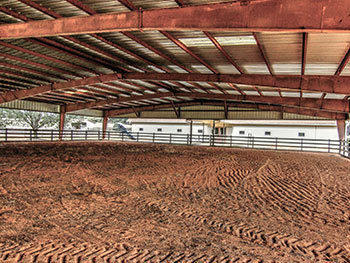 We have a large covered, lighted arena in addition to our outdoor arena. Indoor and outdoor hot/cold wash racks conveniently located for our client’s use and grassy areas are available for hand-grazing your horse. You may ride the wooded trails on our property, or trailer your horse a short distance and spend the day at nearby Hard Labor Creek State Park, which has many miles of trails available for horseback riding. You may make arrangements with us for horse transportation, if needed. As a boarder you will enjoy the ease of participating in highly educational and productive on-site clinics, from the Six Keys to Harmony which is the foundation of our training program to Classical Riding Skills, Trail Clinics, Problem Solving, Ranch Horsemanship, Roping and Beginner Cow Working Clinics, all presented throughout the year by Ed Dabney, internationally acclaimed clinician, trainer and instructor. 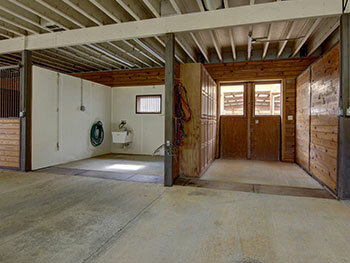 We have large foaling stalls. We will monitor your mare throughout the night and notify you as soon as she goes into labor. We are very experienced at performing complete imprint training at birth and reinforcing and progressing this training during the first few days after birth. We are happy to teach you to do the follow-up imprint sessions after your mare and foal go home. 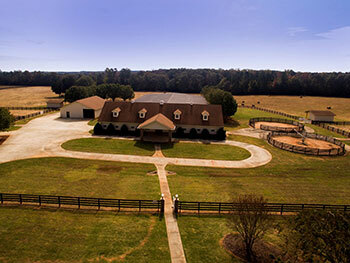 *We accept post-surgery or post-treatment horses requiring rehabilitative care, at our facility. We have the knowledgeable and skilled staff to monitor these special-need’s horses, administer medicines, change bandages and manage wound care, prepare special feeds, and follow the rehabilitative, exercise protocol prescribed by your veterinarian.